3 Floors of character offices arranged around the marble staircase, with toilets and lift. Semi-circular, comfortable, tiered seating for 200. Suitable for public meetings, concerts, conferences, broadcasts. Provided with audio-visual equipment and stage lighting. Seating for 140 patrons. Suitable for themed or film society seasons; tourist, educational and documentary films. Also current releases not on local distribution. Sub-dividable rooms for meetings, conference use, training and other classes. Ranging in area from 100 sq ft to 150 sq ft. A kiosk at the North door for a newsagent. A venue for youth from across the town, ages 14-17. Focus on Music – practice, live performance, and recording. The facility would have its own direct entrance, refreshment counter and toilets. A new steel and glass conservatory entrance, visible from the Town Centre Market Hall. 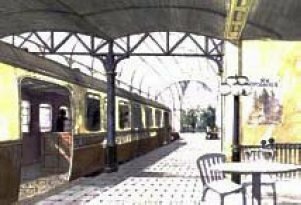 Inside, a restored GWR Buffet Car would offer light refreshments. The Cinema, Forum and Theatre entrances would be adjacent. The Concourse leads to the North Entrance, past the Booking Desk, Shops and Conference Suite, exiting directly opposite the GWR Tunnel Entrance to Churchward. Fully equipped stage with scenery flying facilities, clear wing space and stage lift. 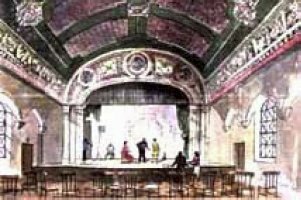 Proscenium Arch to be restored to pre 1930 design. New Dressing Room wing with wheelchair access to stage, Green Room and Theatre Office. Fully restored with gently raking floor plus balcony. 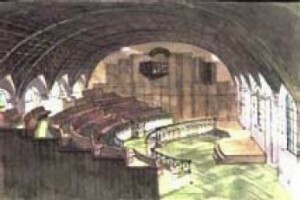 Designed to operate as a Cabaret Theatre. Drinks and light food would be available at tables during intermissions. Seating 300. Stairs and lift access from both street and concourse will lead to a new Foyer at Auditorium level. Toilets at the next level. Adjacent to the foyer is a 60+ seat restaurant, offering an unpretentious atmosphere and good food. 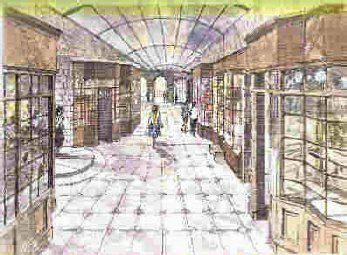 The restored building will be designed to be fully accessible for the enjoyment of all. Lifts, ramps, tactile surfaces and appropriate signage will be provided.